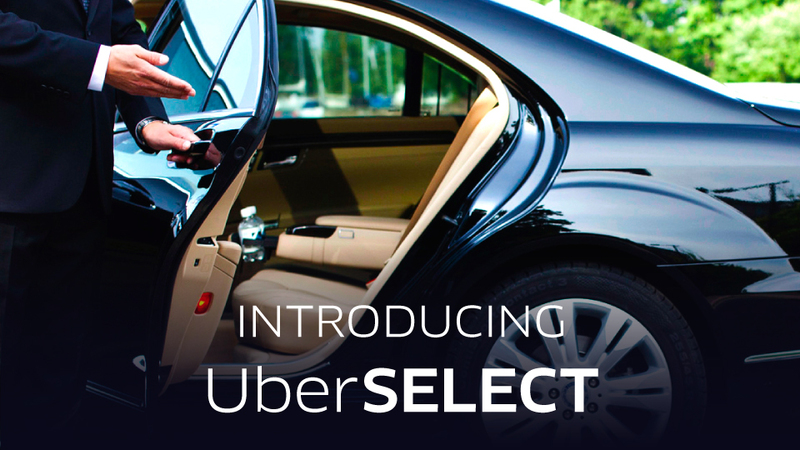 Further diversifying its lineup, Uber now has UberSELECT, which sits right between its UberX and UberBLACK segments. As you can see in the chart below, UberSELECT pricing is also comfortably positioned between the other two offerings. The cars you can expect to see picking you up — the “BMW 3-Series, Audi A4 and Mercedes C-Class” for instance — are also considered to be middle-of-the-road. An UberX has cars like the Toyota Prius, while UberBLACK might pick you up in a Mercedes S-Class. This new class of Uber is only available in San Francisco, so if you’re in North Dakota and really want a ride in an Audi A4 — you’re out of luck.